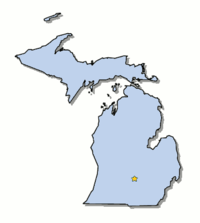 Hi my name is Net Nagel, and I am a native Michigan dude that loves to celebrate the MI business owners.This is going to be a blast going to different towns and trying out businesses and reporting on their service and quality. To let the big corporations know that we still go it as local business owners. My father has been in doing local biz for all my life and I understand how difficult it can be with the economy and big stores opening up near you. I want to review and give my honest opinion on each business and let everyone know that there’s gold gems in your area that is waiting to be discovered. I hope to meet with new business owners and form new connections. I would love to get in touch with your business today. So hit me up and we can talk. I will order your services and give my honest opinion. If you wow me with your service and unique qualities, I will write an article for you and promote your business.